The price of the Skoda Kodiaq Style variant has come down to Rs. 33.83 lakh, a price cut of Rs. 1 lakh. This special festive price will be offered for a limited period, which will end on November 30. Skoda India has slashed the price of the entry-level Style variant of the Kodiaq SUV by ₹ 1 lakh. The flagship SUVs which was priced at ₹ 34.83 lakh will now be available at a special festive price of ₹ 33.83 lakh (ex-showroom India). The new reduced pricing has been introduced specially for this festive season and is a limited period offer, which will end on November 30, 2018. 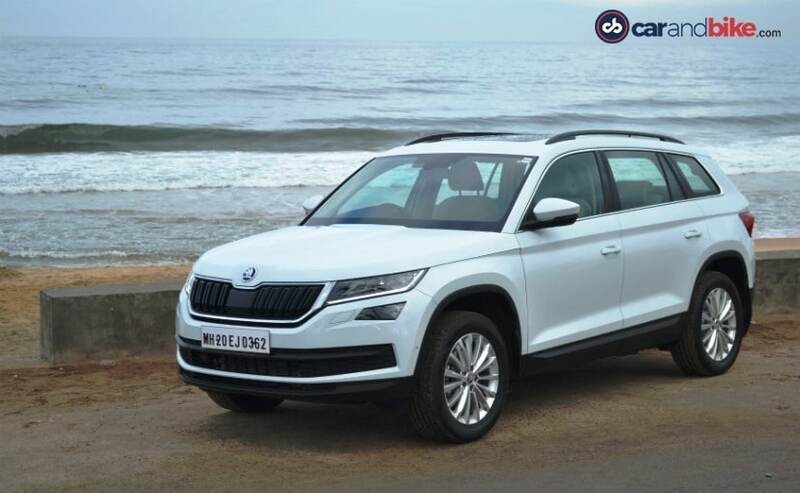 Recently, the carmaker also launched the top-of-the-line Laurin & Klement variant of the Skoda Kodiaq, priced at ₹ 35.99 lakh (ex-showroom India). Although a base variant, the Style trim of the Skoda Kodiaq comes will all the bells and whistles that you would expect from a flagship seven-seater SUV. On the outside, the SUV comes with full LED headlamps with decorative crystal elements and is equipped with AFS (adaptive frontlight system) with automatic headlight levelling and LED daytime running lamps. The SUV also features large 18-inch Trinity alloy wheels, electrically adjustable and heated ORVMs, LED taillamps, and electrically controlled tailgated. The cabin, on the other hand, comes with features like keyless entry, panoramic sunroof, 12-way adjustable driver and front passenger power seats, memory function for driver's seat, and electrically adjustable lumbar support for the passenger seat. The Kodaiq also comes with an 8-inch capacitive touchscreen system with Apple CarPlay and Android Auto, ambient lighting, hands-free park-assist and more. On the safety front, the SUV gets 9 airbags as standard (first in its segment) along with a host of features such as ABS, ESP, traction control, all-round parking sensors, and reverse-parking camera. Under the hood is the 2-litre tried and tested diesel engine that we have seen on the likes of the Skoda Octavia, Skoda Superb and several other VW group offerings including the Tiguan SUV. The engine makes 148 bhp and 340 Nm of peak torque and comes mated with a 7-speed DSG gearbox only.